Obituary for Donald Wayne Josiah Pinder | Henry Funeral Home, P.A. On April 1, 1980, God blessed Donald and Rose Mary Pinder, with a baby boy, Donald Wayne Josiah Pinder. As an infant, Donald was baptized under God’s covenant by Reverend Robert Brown and his godparents the late Elder James and Helen Hubbard at Water’s United Methodist Church in Fork Neck, Maryland. He attended elementary school at Vienna Elementary, Vienna, Maryland and Warwick Elementary Secretary, Maryland. Throughout his youth, Donald participated in many sports and extracurricular activities including baseball, soccer, boy scouts and Buffalo Soldier educational performances. His formative years were spent at North Dorchester Middle School and North Dorchester High School in Shiloh, Maryland. Donald graduated from North Dorchester High School in 1998. During his high school years, Donald had many friends and was a varsity athlete in several sports and participated in various clubs. He received many accolades in basketball, track and field, band and chorus. 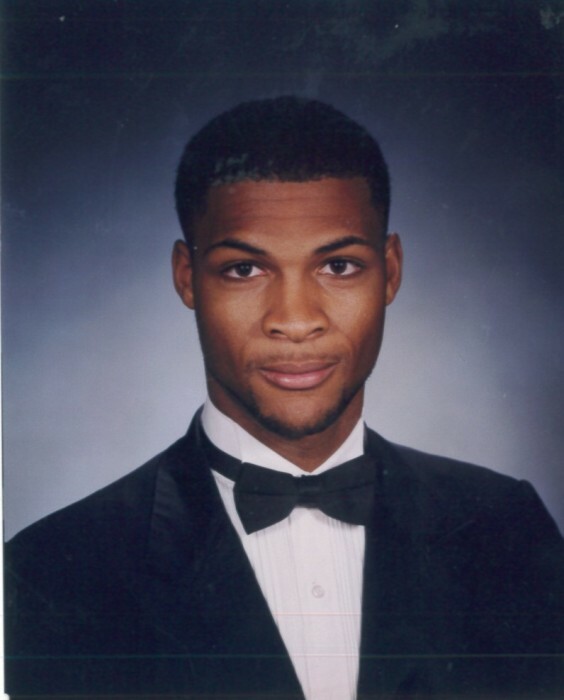 Some of his most memorable moments of high school were in his senior year, when he ran the boys 4X400 meter relay at the Penn Relays in Philadelphia, PA and being crowned North Dorchester High School Homecoming Court King. Donald was accepted to Bowie State University after high school to study the field of Biology. He completed two and a half years at BSU and left to accept a position with Thales Navigational Solutions in Arlington Virginia. During his time with Thales, Donald worked with satellite, GPS and navigational systems. He continued to advance his career and pursue his love of inventing by passing an electrical engineering exam required to apply for his next position with Northrup Grumman in Linthicum, Maryland. He was currently in his 10th year of employment as a Senior Materials Process Technician. During his time at Northrop Grumman, Donald engineered several pieces of equipment that were patented in his name by the United States Patent and Trademark office. Donald was blessed with strong beautiful hands and an affinity to design and build almost anything with ease. His ability to fix anything put before him earned him the nickname “Mr. Fix it”. He was always full of surprises; gourmet home cooked meals, unique thoughtful gifts and popup visits. Donald loved food and was the family “Foodie”, guiding family and friends to the most interesting and best restaurants in the surrounding DC Metropolitan area. He enjoyed cooking as much as he did eating. He was smart, quirky, entertaining and most of all he had a tender heart. Donald loved his friends and support group Tim, Ray and Dave and being an uncle to his niece and nephews. Donald was an avid outdoorsman. He loved Dorchester County’s country roads, rivers, waterways and forestry. He found tranquility and peace on the water or perched camouflaged in a tree while he waited for his game to appear. He enjoyed skiing, paint balling, riding ATV’s and dressing up for Halloween and various themed-festivals. Donald owned many pets throughout the years but was especially fond of his latest pet a free roaming rabbit named Ginger. He leaves to mourn his parents, sisters Dontrell Murray (Richard Murray), Upper Marlboro, MD, Donta Kieffer (Darren Kieffer) Frederick, MD, nephews Evan Kieffer and Ryan Murray and niece Peyton Murray, uncle Herbert Johns (Jo Ann), cousins William Downes, Ronald Johns, Jr., Yashica Pinder and Maya Pinder, godparents Vivian and Harold Jackson, best friend Kevon Pinder and many beloved great-aunts, great-uncles, cousins and friends. Preceding him in death were his grandparents, John and Ardessa Pinder and Dewitt and Dorothy Johns, uncles William Brummell, Nathaniel Jones, Robert Pinder, Donald Johns, Ronald Johns and aunt Dorothy Mae Johns and godparents Elders James and Helen Hubbard.